There's nothing like spotting a Kate Spade item within seconds of walking into Nordstrom Rack. 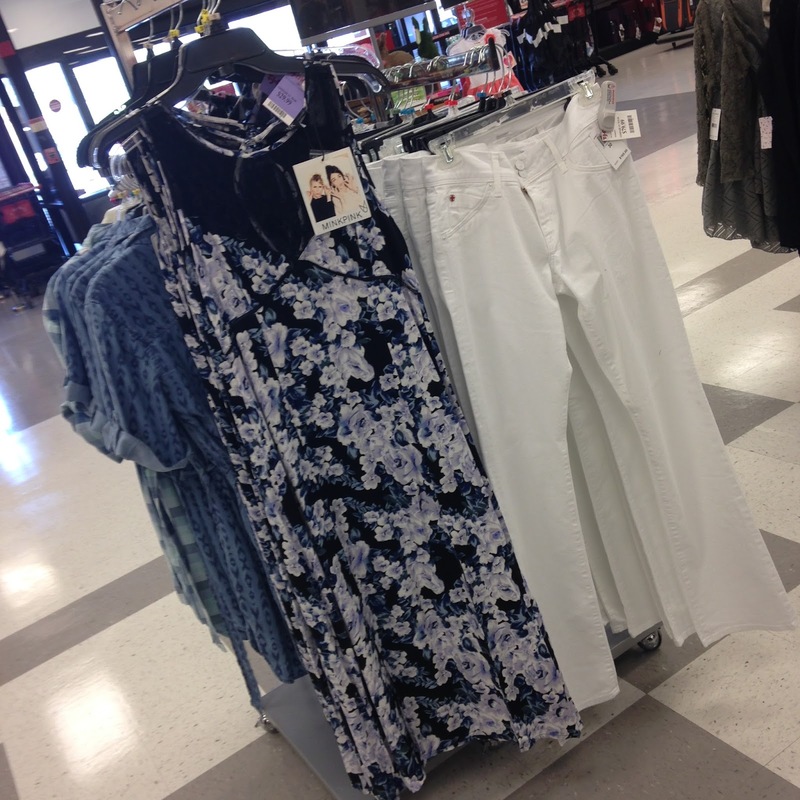 Although it's not unusual to find this brand at NR, finding clothing items at Marshalls is a rare thing. I almost didn't go to any stores on Monday, but those Kate Spade bow socks I had seen on several Instagram accounts were begging to be hunted down, even if I only found a few pairs. Although I can't complain after scoring a Rachel Zoe leather wrap bracelet for less than twenty dollars. Here's hoping you can score some of your favorites in store! Sure the weekend is almost over, but you can take advantage of today's sales in the comfort of your own home, the best way to shop on Sunday. Have a great rest of the weekend fashionistas! Designer Lilly Pulitzer is bringing her iconic prints and resort-wear style to Target in less than a month and the super cute lookbook is finally here! The 250 piece collection includes clothing, kids line, accessories, and home decor with prices starting at $2 going up to $150. Plus size clothing will be available only only, which I'm sure is disappointing for those finally waiting to be included in the designer collaborations, but at least it is available this time around. I have to admit that before I saw the lookbook, I wasn't that excited to shop the collection, after seeing some of the pieces here...let's just say I'll be at the store bright and early on launch day. Start making your wish list fashionistas and mark April 19th on your calendars! Are you excited for this collection? 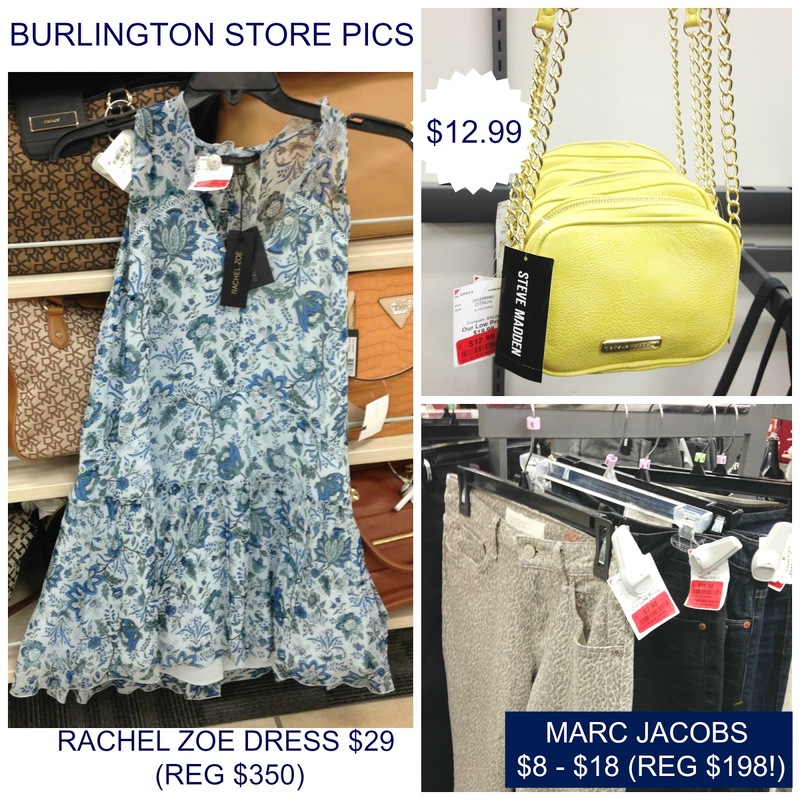 This past weekend I shopped at two TJMaxx locations and was so excited to see new brands I had previously only seen at Nordstrom and Nordstrom Rack stores popping up here. While the clothing and handbag areas were stocked full of new merchandise, the shoes were not. I've seen the same sneakers and sandals for what feels like weeks, which only means (fingers crossed) that new arrivals are coming soon! Happy Monday Fashionistas! This is the first time I'm sharing my Instagram photos in a blog post since I know many of you never see them (sad face). While I hope to have a weekly post, I've rounded up my favorites this time from the last two weeks. Have a fabulous start to the week! Remember to follow me on Instagram to join all the shopping fun and enter an amazing $400 Nordstrom gift card giveaway, details below! Do you want to see a weekly Instagram round-up? Happy first day of spring fashionistas! For some reason the "official" day on the calendar (despite the weather being very spring-like for at least a month here) has me even more excited to wear pastels, floral, lighter hues and sandals. It was difficult to narrow down my favorites this week with new collections making their way into stores and the cutest shorts now on major discount! 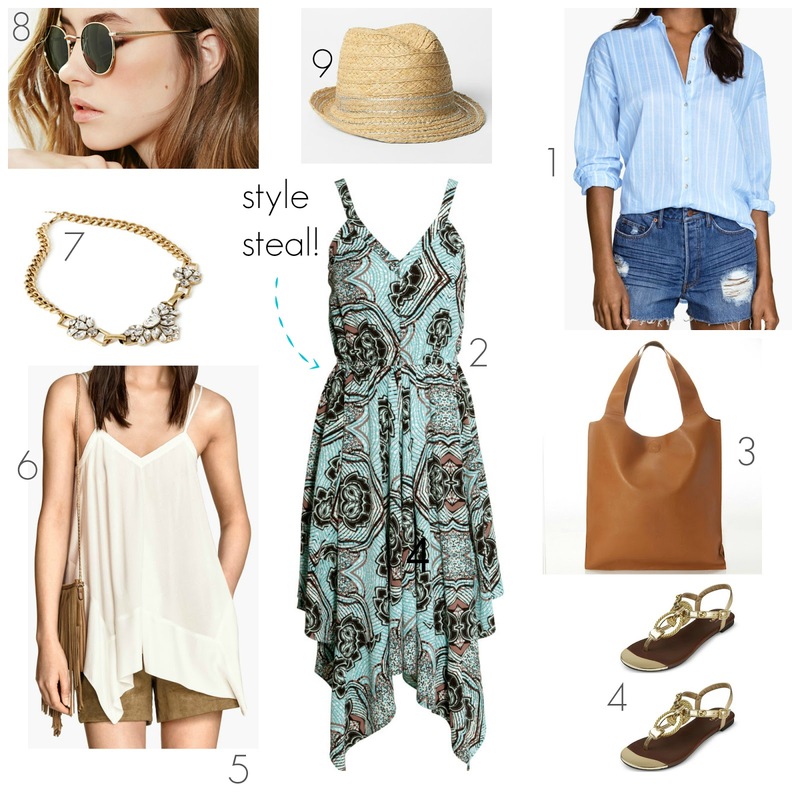 Are you excited for spring fashion? 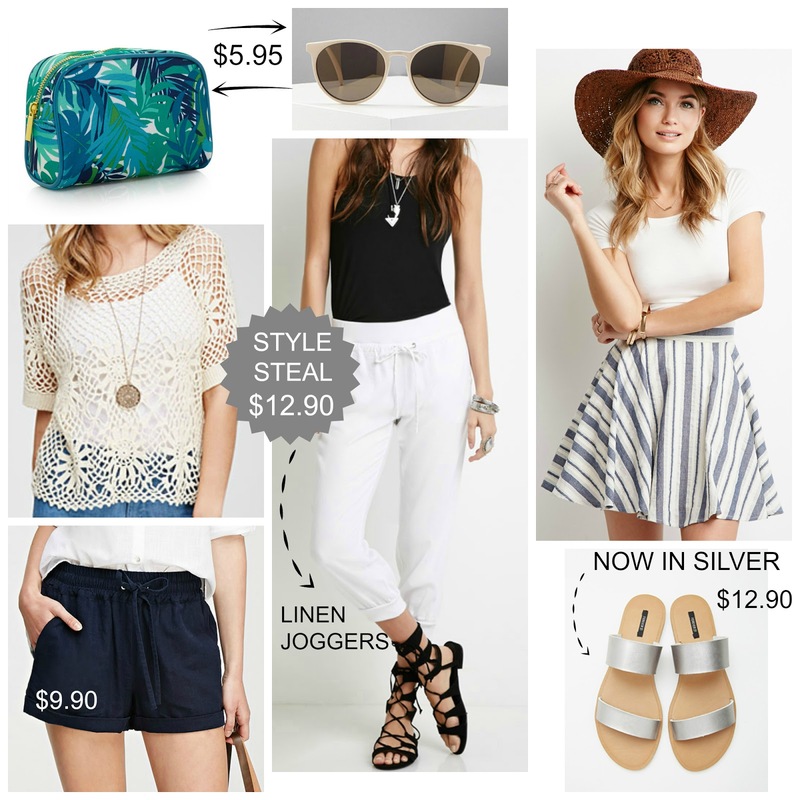 Forever 21 Free Shipping + Deals starting at $5.95! Happy St.Patty's Day Fashionistas! 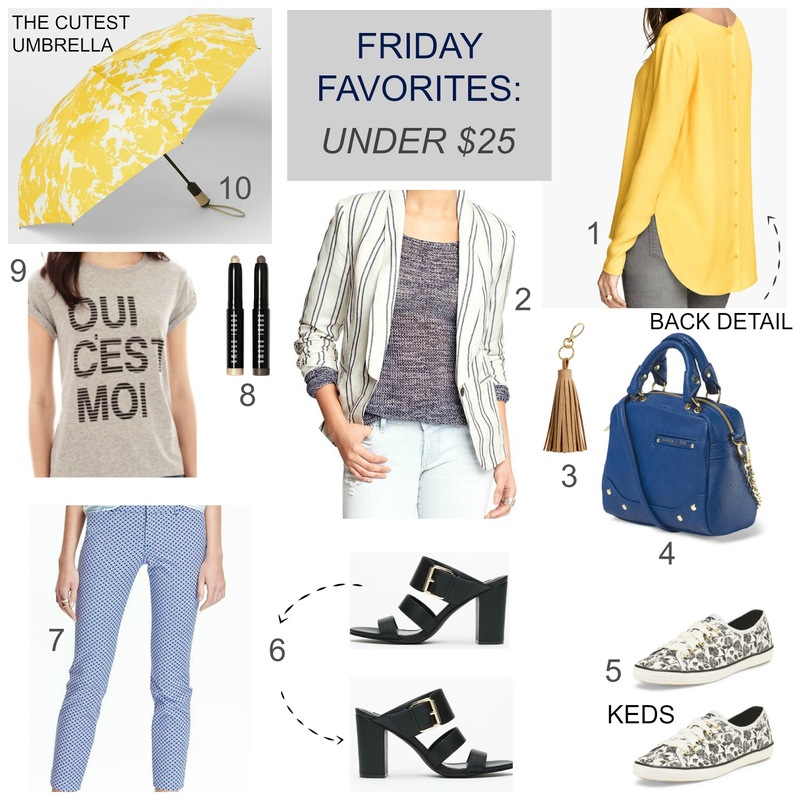 Today brings you a fashion pot of savings gold from Forever 21 and I rounded up a few of my favorites (some that I already featured) under $20 so you can take advantage of free shipping if you want to purchase just one item you've have your eye on. Ulta: 21 Days of Beauty Deals + Steals Guide to Savings! For beauty addicts everywhere, one of the best times to score yourself a beauty steal happens during Ulta's 21 Days of beauty event! You can find deals on prestige products for 50% off the retail price and gifts with purchase galore. Each day, Ulta selects one or two items (some are online exclusives) to have on major discount available in store and online, naturally the most popular items sell out fast. My previous shopping experience at an Ulta store during this event was challenging since each store only receives a very small shipment of their daily deal, so if you aren't there when the doors open, most likely they'll be out of stock by noon (no bueno). I've had better luck ordering online especially when I want to stock up on my favorite products. Here's everything you need to know to get your beauty on for less! 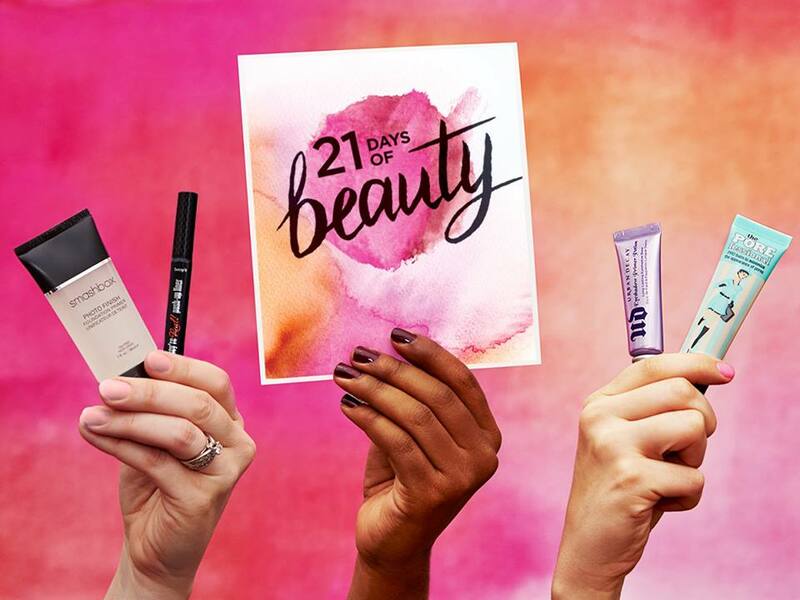 Are you excited for 21 days of beauty? Thanks to following another shopping addict over on Instagram, I knew I needed to go shopping at JCPenney this week to check out their new in-house brand, Stylus. Rumors are that the Joe Fresh label is jumping ship and while it's still available at my store, I did notice an unusual amount of online clearance. The good news is that the replacement line is here and some pieces are similar to J.Crew but at more affordable prices. While not everything is something I would wear, I love the direction they are headed and many pieces are on trend and great for spring. I took advantage of the super low discounts that start at 40% off! They have more items available online since it looks like this location is still receiving their merchandise, so make sure you check everything out for yourself! What do you think of this new brand? Chambray always symbolizes the start of spring for me, it's not floral, but denim's cousin that has me excited for the new season. Maybe because I have such a love for all things denim that I gravitate toward this lighter version when the temps soar. 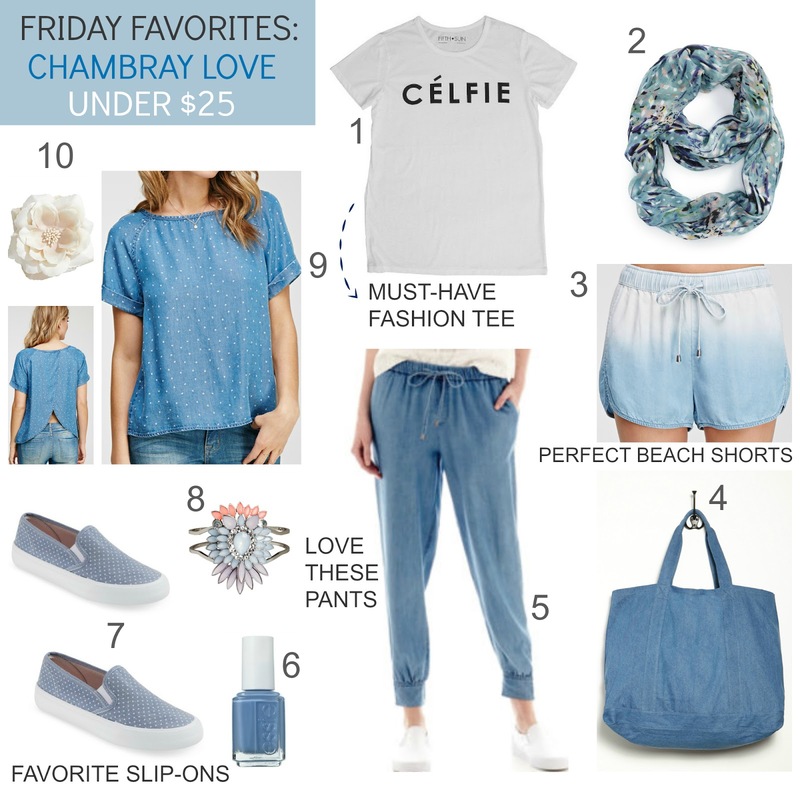 You could throw a chambray shirt on with some white pants, sandals and tote and you are good to go, especially if you live by the beach or on vacation. 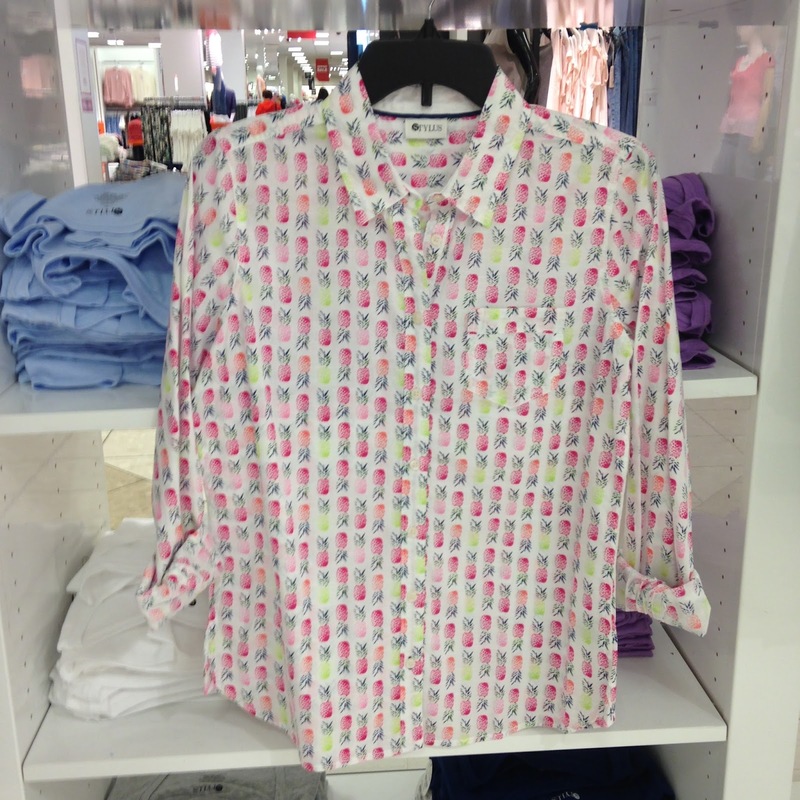 I also loved seeing the Céline tee pop up in stores again, still a must-have fashion tee. Burlington Coat Factory (yes that one!) See 40+ in store pics! This past weekend, I stopped by Burlington Coat Factory and never expected to stay more than five minutes. I don't think I had been at the store since before the holidays and since then, they re-organized the store and it is 100% better! The first thing I noticed were the amazing selection of handbags, it is seriously huge. After I spent majority of my time ooh-ing and ahh-ing my way through the that department, I glanced over at the clothing clearance rack and noticed some familiar designer tags. While I occasionally find high-end r items at Nordstrom Rack and Marshalls, seeing a Rachel Zoe dresses for $29 along with Marc Jacobs jeans for $17.98 was almost too much for this girl to handle. Did I mention this all took place on a Saturday? I felt like I had the floor to myself, literally no shopping competition around me. So, needless to say, after scoring what will probably be the best finds ever at those prices, I'll definitely be checking in with Burington on a more regular basis. Have you shopped Burlington lately - any good finds? Celebrate hump day with more new sales to shop! 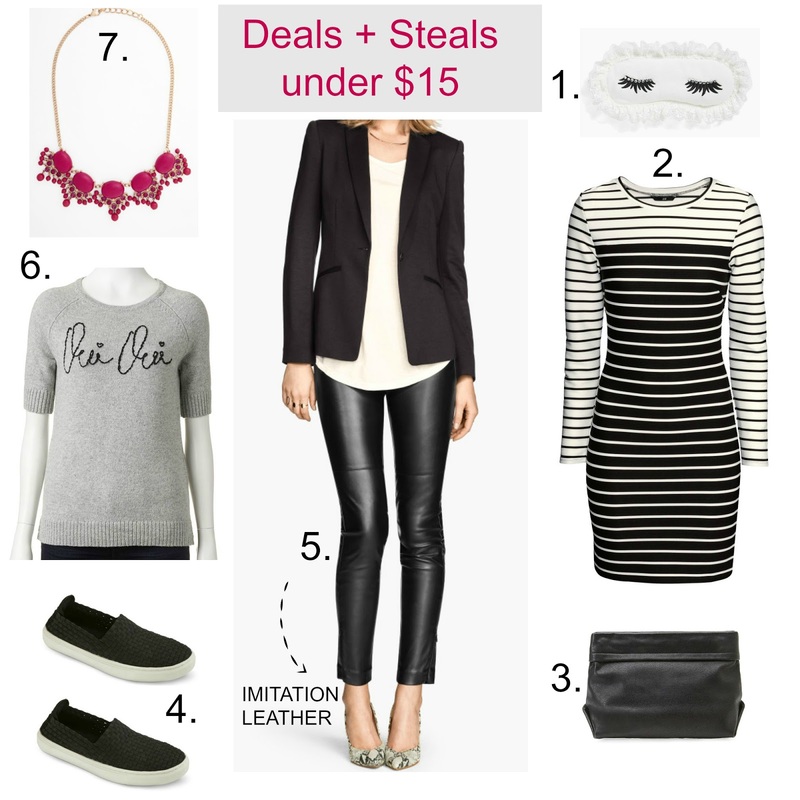 These are some of my favorite under fifteen dollar finds I loved when I first spotted them at (gasp) regular price...now excuse me while I hit the stores. This weekend at Old Navy, I snapped so many photos of their new spring arrivals I barely left myself actual shopping time...barely. I was there to scoop up some of their $10 slip-ons shoes I love so much, a quick trip I thought. What I didn't expect to see was all of the super cute clothing and accessories because just a week before, most of this stuff wasn't on the floor yet. Hope you enjoy shopping with me and I'm hoping to continue to share more store pics with several new collections hitting the stores in the upcoming weeks. Let me know if that's what you want to see! 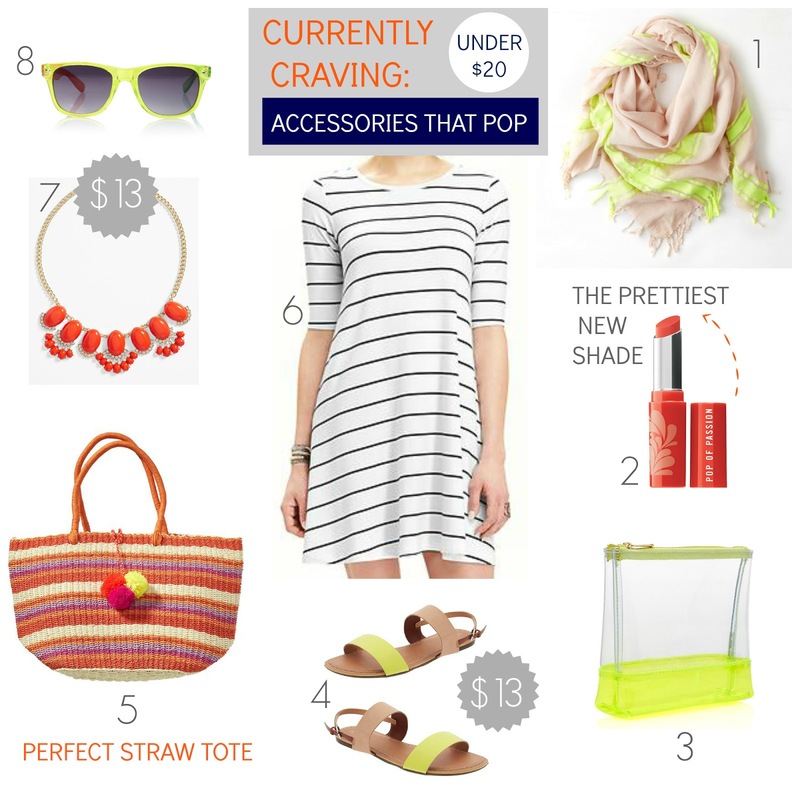 What's on your Old Navy spring wish list...(besides everything)? Spring is just around the corner and setting the clocks ahead this weekend means we lose an hour of shopping...for real, haha. Seeing pops of bright yellow in the stores make me happy, style it with blue for a modern and bold statement. 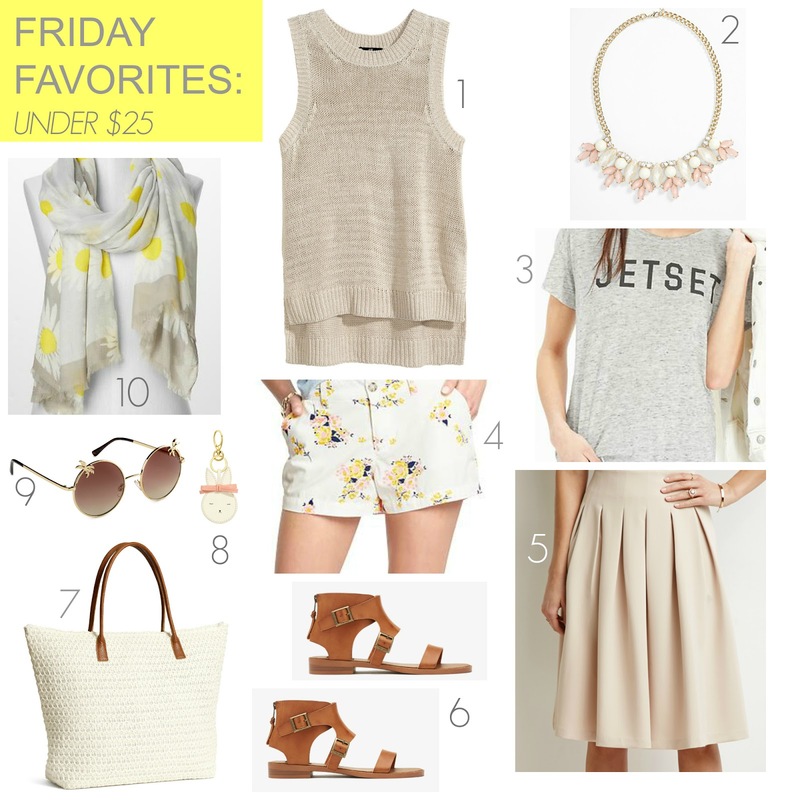 Here's to another round of Friday favorites under twenty-five dollars. Have a great weekend! Some really good sales are happening today and you do not want to miss all the deals at Nordstrom! 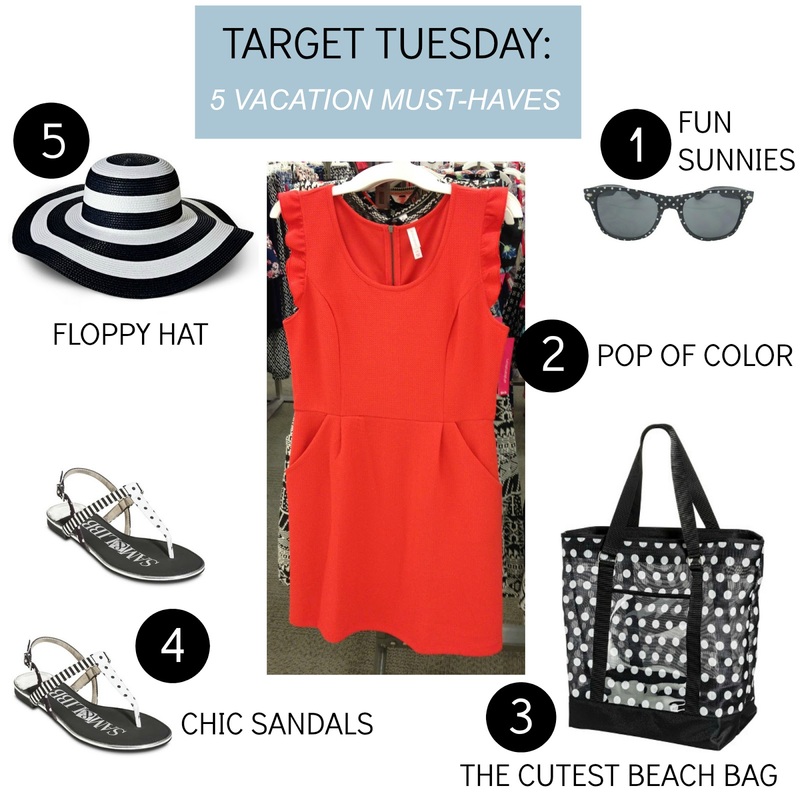 Target is has some amazing deals this week, especially if you are planning a vacation anytime soon or live in a sunny climate. Perfect time to scoop up items you've had your eye and save at the same time. Here are some favorite vacation must-haves under $25 and that's without the additional discounts! My local Marshalls store has two floors of amazing deals, but sometimes, I only make it as far as the first floor which consists of handbags, shoes and beauty. Here are the new arrivals I spotted with many big designer brands popping up on this trip (hello Rachel Zoe). Hope you enjoy shopping with me and see some of the current arrivals that may be at your store too.